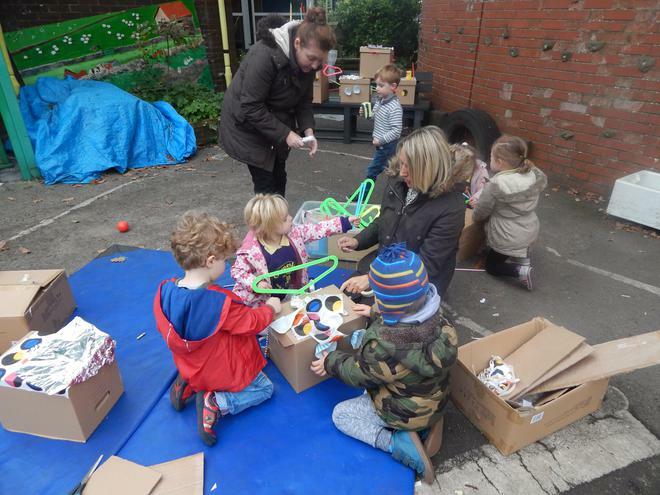 On Friday 16th October we had our second exciting day of this project in liaison with High Peak Community Arts. 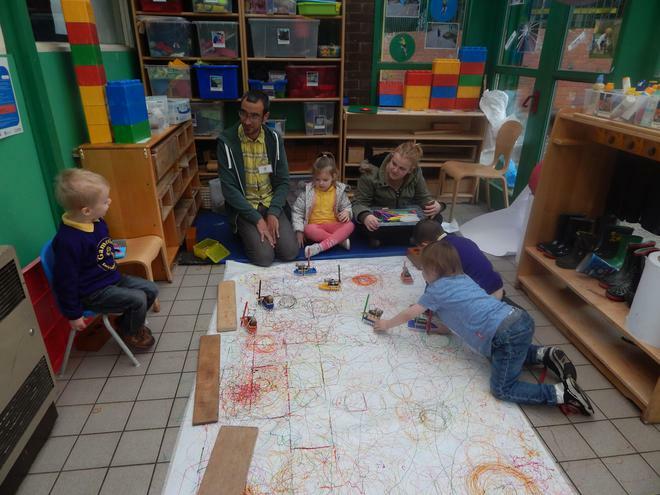 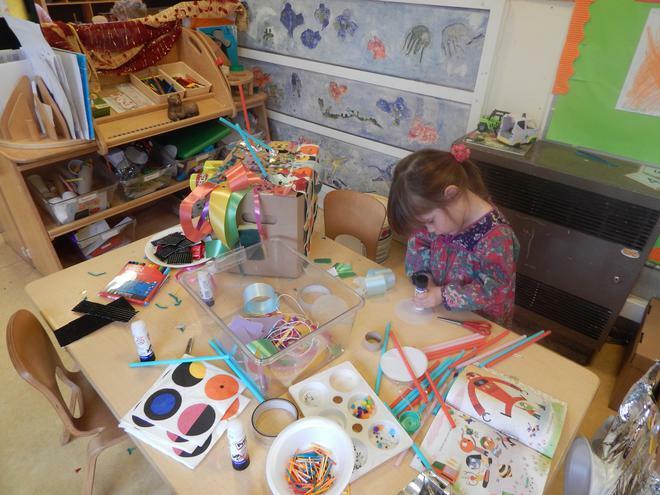 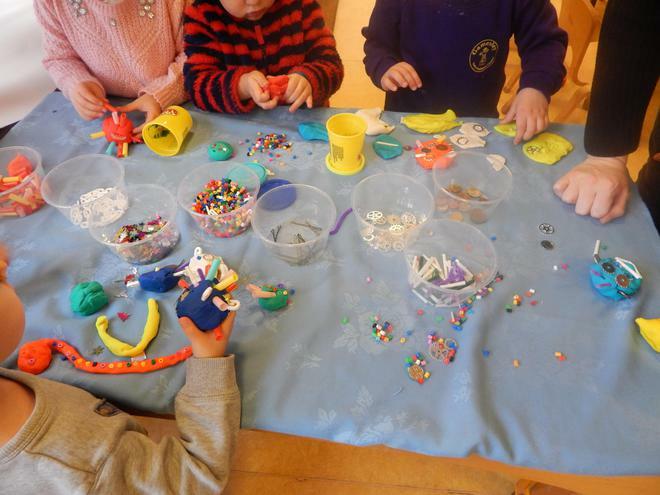 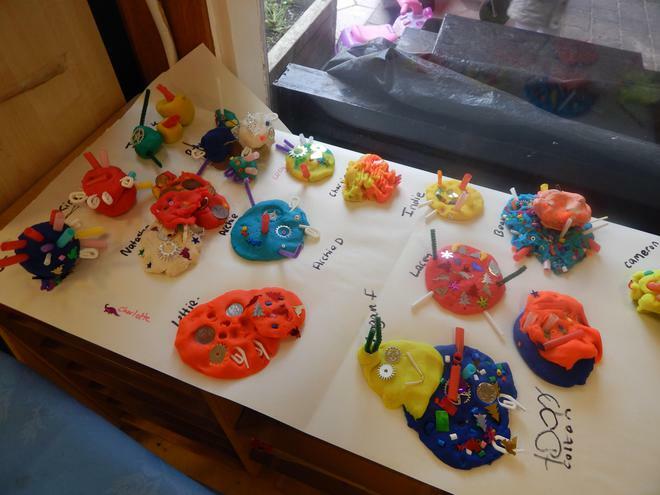 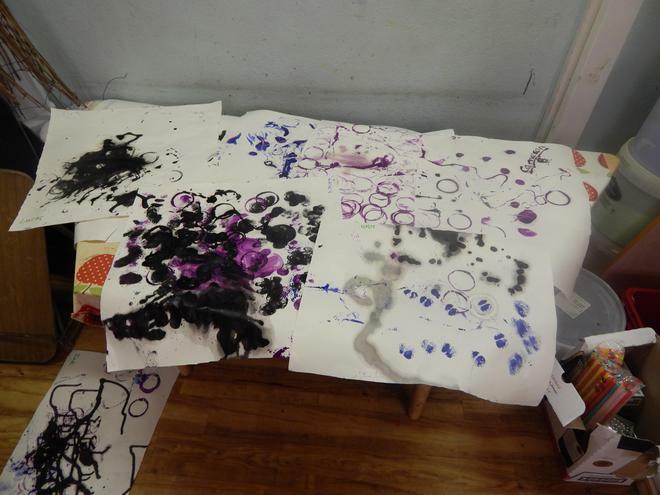 Artists Katy McCall and Tony Hall joined us for a fun Friday morning with parents/carers and children. 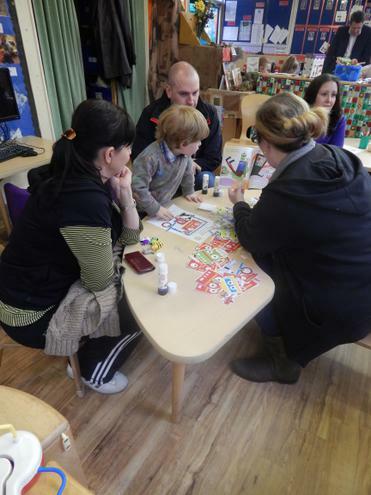 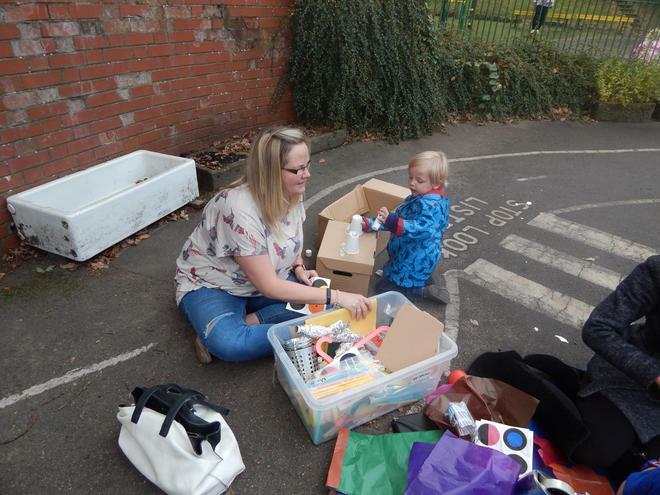 25 parents and carers joined us. 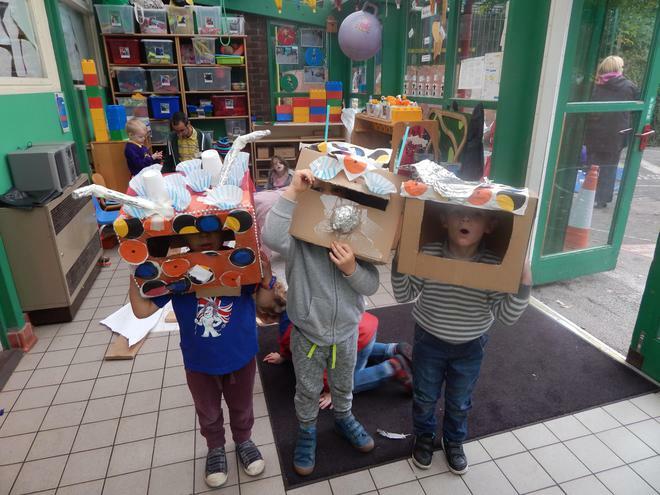 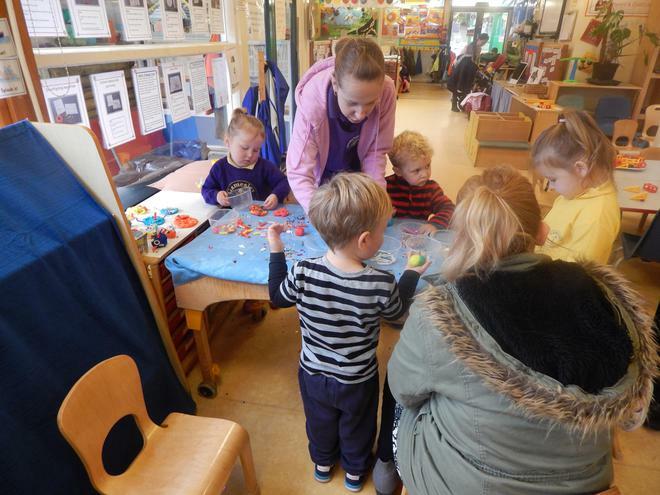 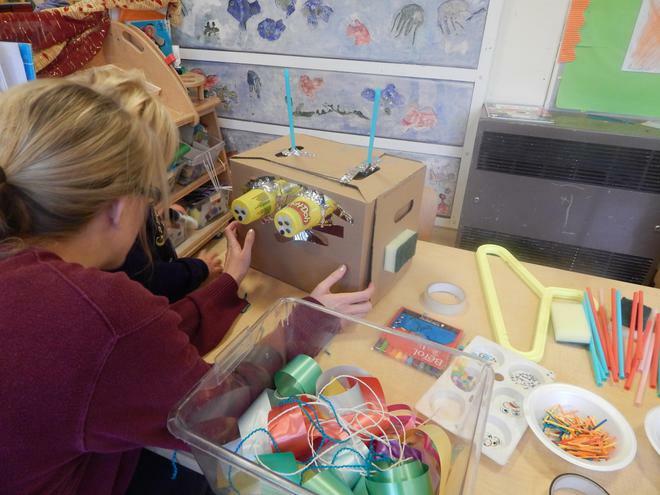 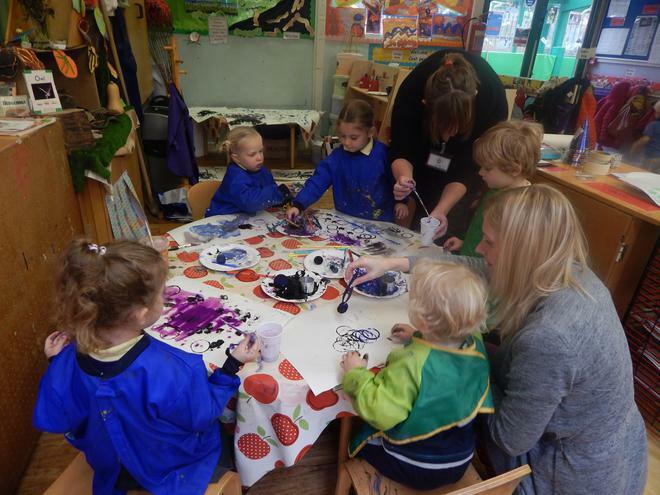 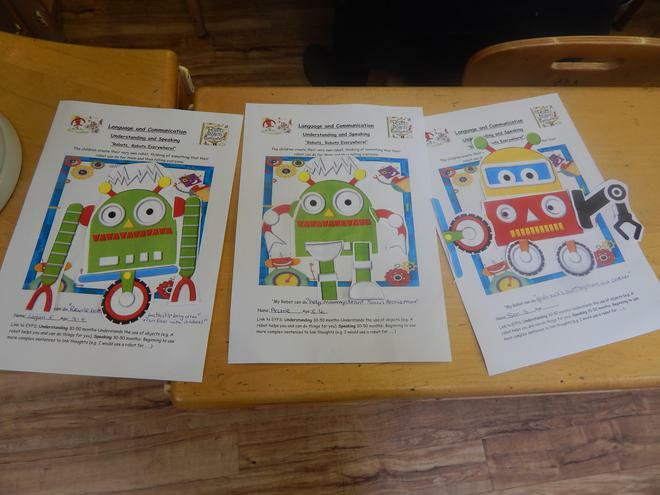 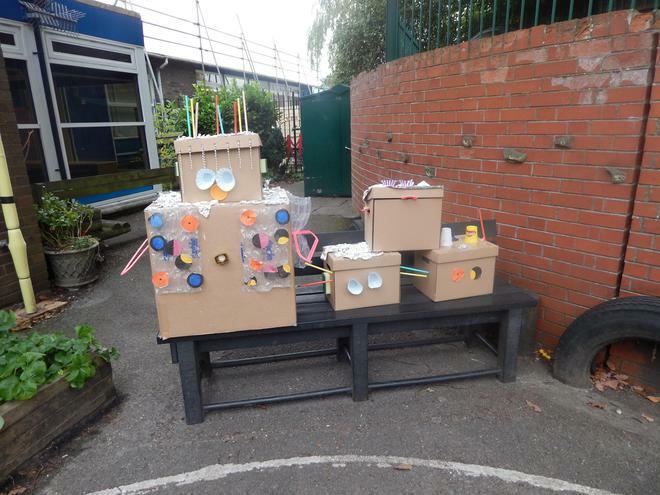 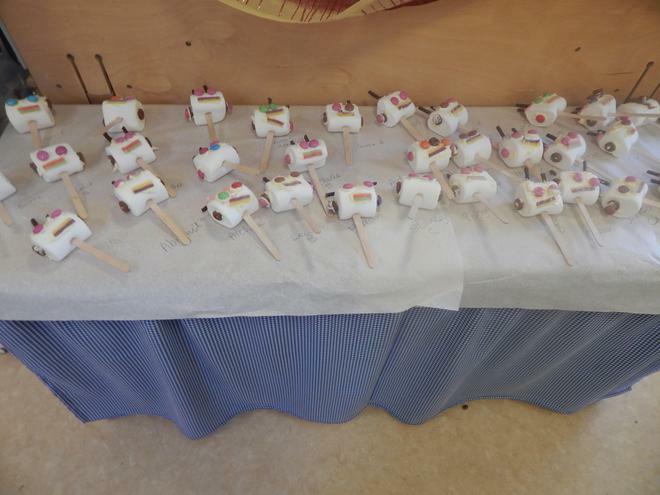 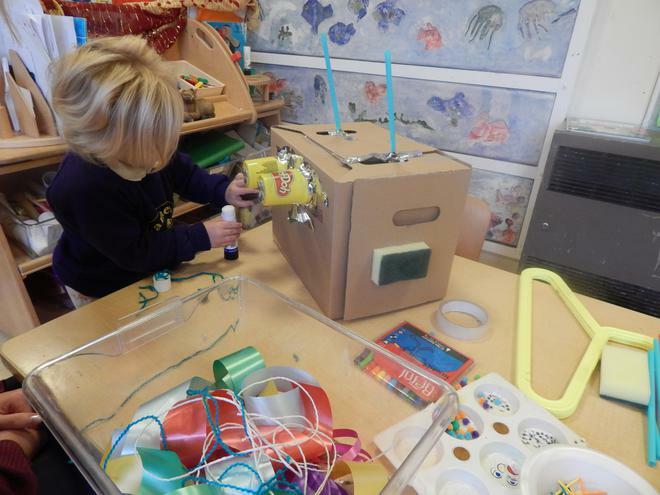 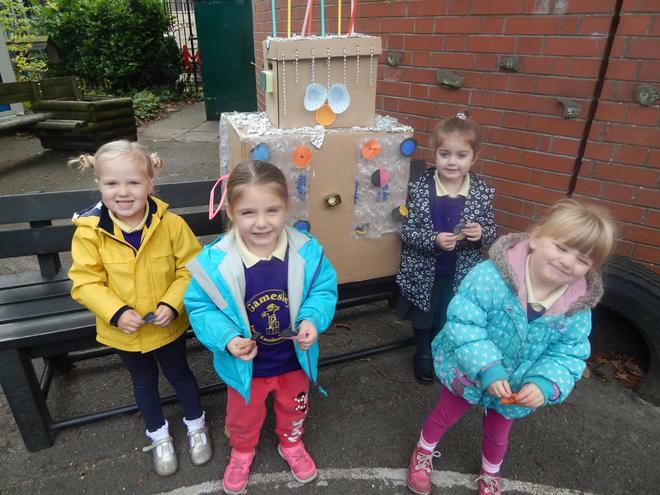 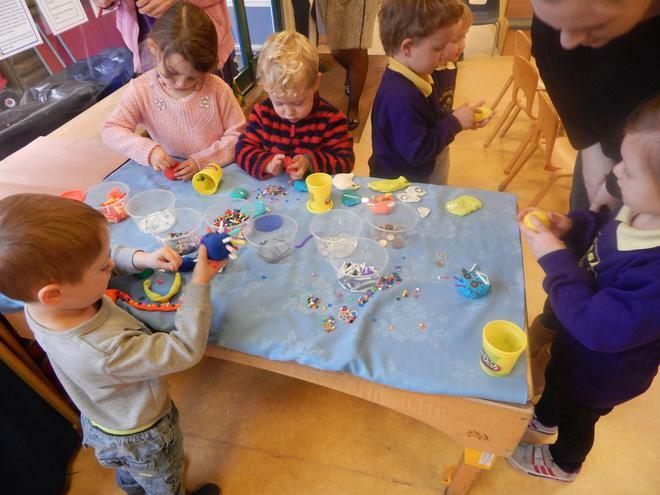 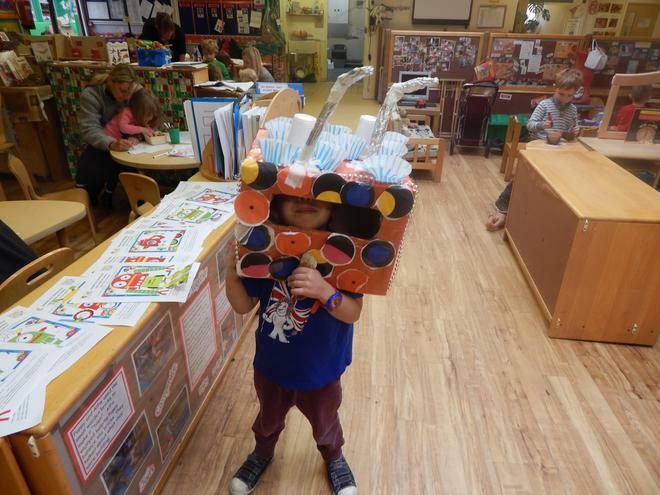 All of the activities in the nursery linked to the book 'Robots, Robots Everywhere'. 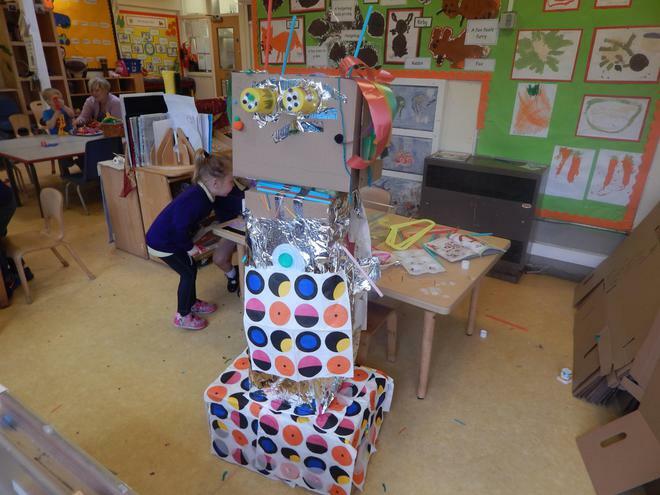 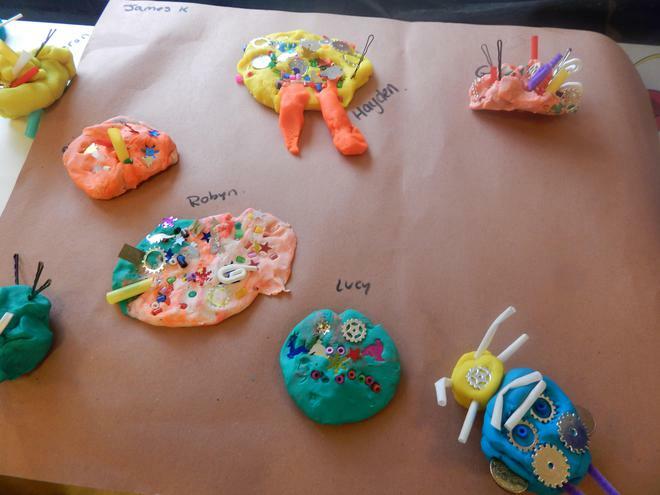 We started off with croissants for breakfast and then got to work with making robots of all shapes and sizes! 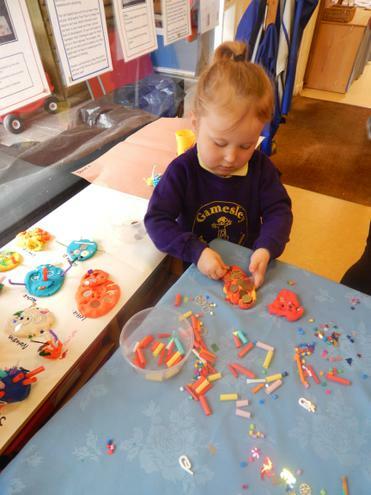 We all had lots of fun and learned a lot too. 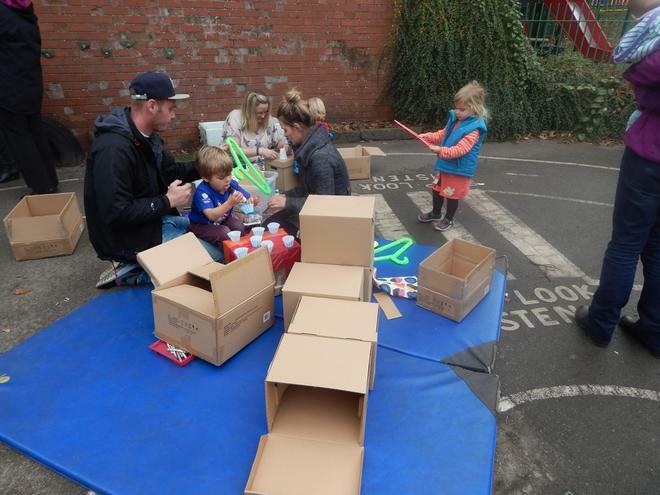 Our next sessions will be in the afternoon on 11th and 18th November. 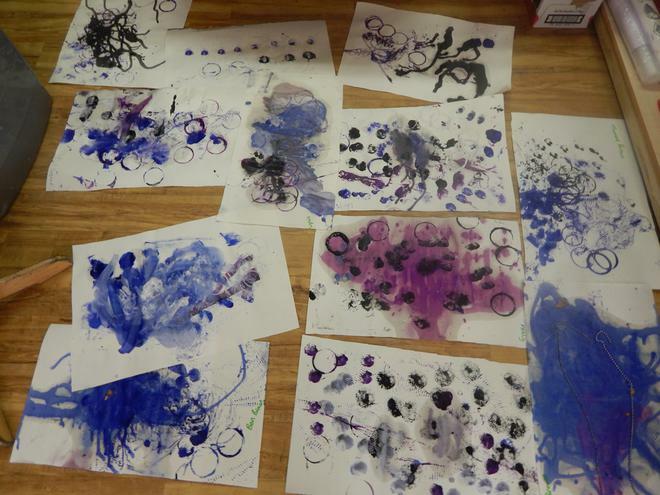 The artists will be Katy McCall and Michiko Fuji and the book 'Mouk'.